Dear Class of 2020 student," the welcome letter from the school's Dean of Students John Ellison begins. It goes on to explain the university's commitment to freedom of expression and inquiry. Students "are encouraged to speak, write, listen, challenge and learn without fear of censorship. of upcoming discussions or speakers that they might find offensive. 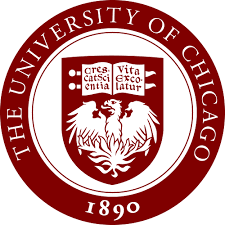 The University of Chicago won't cancel controversial speakers, and it "does not condone the creation of intellectual 'safe spaces' where individuals can retreat from ideas and perspectives at odds with their own." Law professor Geoffrey Stone says the letter's intent was based on a report from a faculty committee he chaired on freedom of expression and academic freedom. "This is really exciting," Stone says. "You're coming to an amazing institution." He says the University of Chicago has a long history of standing for those principles. "We've been deeply committed to the notion that we're here to learn from one another and to learn from the world and to study things and to figure out the answers. And the best way to do that is to hear all sides of everything." This is a great lesson from a university with a great reputation. Increasingly the notion has taken root in liberal quarters that people have a right to be free of hearing ideas incompatible with their world view. Nowhere has this nonsensical notion taken root than on college campuses where students often shout down conservative speakers if they can't get them disinvited altogether. Your right to free speech does not include the right to stop others from speaking. To see a great book, from a former Democrat activist no less, on liberal attempts to suppress free speech, click here. It is also refreshingly allowing debate on BDS (ultimately passed in favor by student union), unlike Berkeley shutting it down at behest of Sen. Feinstein's regent-husband or the attempt by whole state of NY, though thankfully rescinded. Off topic, why isn't any of our local media covering the Ritz no bid contract?